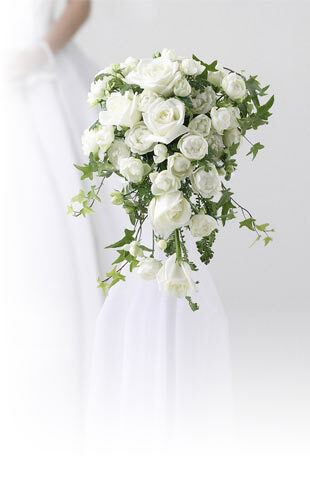 There’s nothing like a delicate bunch of baby’s breath for a romantic, whimsical floral touch. Clusters of tiny white single, double, or semi-double florets float on lush green multi-branched stems, giving baby’s breath an airy and cloudlike appearance. It’s the most popular choice for adding substance to wedding flower arrangements, but baby’s breath is also used just as often on its own as a simple white bouquet flower. Baby’s breath is a rightfully classic wedding flower, chosen as much for its subtle gracefulness as its year-round availability, versatility, and affordable price. Including budget-friendly flowers like baby’s breath in your wedding floral arrangements or as bouquet fillers allow you to spend a bit more on the show stoppers, like our beautiful orchids, lilies, ranunculus, peonies, and premium roses. Preparing your floral arrangements in advance? While baby’s breath (also referred to by its scientific name, gypsophila) can’t last long without water, it dries very well without losing its bright, full appearance. In water, baby’s breath has a vase life of about five to seven days, but with proper care and handling can last up to ten days. The longstanding popularity of baby’s breath goes far beyond the flower’s utility as bouquet fillers. Gypsophila is incredibly versatile and can be used on their own or as part of other flower arrangements for weddings and other event centerpieces, bouquets, or as a thoughtful gift to tell someone you care. 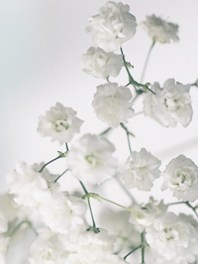 Find your perfect baby’s breath While baby’s breath may seem like a simple, understated bloom, gypsophila is actually available in a variety of specific types. Here at Flower Explosion, we offer a wide selection of baby’s breath, including Million Star Gypso, Mirabella Gypso, and New Love Gypso. Each type of baby’s breath is unique, understated, and romantic, and all convey similar meanings. Baby’s breath is ubiquitous with an everlasting and undying love (romantic, familial, and platonic), purity, freedom, and innocence. Because of these connotations, baby’s breath is regularly used for weddings, baby showers and christenings, and as part of flower arrangements with other blooms that say “I love you” such as red roses, carnations, and tulips. Flower delivery made fast and easy. We believe that nothing should be stressful about flowers. From flower selection to flower delivery, we work hard to ensure that your order goes as seamlessly as possible, and we follow along every step of the way so that if there is a problem, we can take care of it as soon as possible. Our entire staff is dedicated to helping you find exactly what you’re looking for, whether it’s for a wedding, floral gifts, wholesale flower arrangements, stunning bouquets for your home, or even something especially unique, like our black or tinted rainbow roses. Here’s how it works: Shop our extensive collection of beautiful, budget-friendly flowers and choose your favorites. We’ll have your flowers hand cut to order at their peak from one of our more than two dozen trusted farm partners around the globe. Flowers are shipped via cold storage so that we can ensure they remain fresh, and you will receive your bouquet delivery within three to four business days. We offer free shipping with FedEx, guaranteed with tracking. Preparing flower arrangements for a big event? We offer wholesale flowers at a discounted price so that you can buy big without breaking the bank. Our wholesale flowers are a perfect option for event planners and professional florists, or DIYers taking on the tasks of planning an event themselves. For the DIY bride, we’ll even put together expertly crafted floral arrangements directly at a fraction of what you would expect to pay to other online floral shops. Our wholesale flowers are an ideal choice for helping you cut costs when you’re designing an event you don’t want anyone to forget, and come with our same top rate shipping efficiency. Flower Explosion is a San Diego-based company with a celebrated network of farm partners worldwide. We take quality seriously, and fifteen of our farm partners have won international awards for their flowers, so you can be sure that you’re only getting the best blooms, picked at the peak of their seasons. We’re proud to be your go-to source for beautiful, reasonably priced flowers. Aside from our unwavering commitment to quality and staying within your budget, our shipping is fast – and free! Whether you’re planning a huge event or sending a gorgeous gift to that special someone, you definitely don’t want to have to worry that your flowers won’t arrive in time (and neither do we). We’ll be checking in with your order as it processes so that we can stay up to date on the shipment. If something goes wrong, we’ll know right away so that we can offer a quick and simple fix. When it comes to flower arrangements, coordination is key. If you order baby’s breath as part of a larger arrangement or bouquet, you can expect that everything will arrive together and that each separate bloom will be fresh and high quality. Online flowers without the fuss. Being on a budget shouldn’t mean not having access to gorgeous blooms. We work hard to keep our prices low and reasonable, all with the understanding that cheap flowers should never mean cheap looking flowers. We’re committed to bringing you the very best flowers at the very best prices, all within an easy to search format. Browse our site and shop flowers by type, color, or event, or shop our wide selection of wholesale flowers, designed to be perfectly priced arrangements for your next event. From weddings to anniversaries to your dining room table, everything is better with flowers. Shop now and discover why our customers love us and why they keep coming back. We’re delighted to be your one-stop shop for the world’s best flowers, and we look forward to delivering you your ideal arrangement. Have a question for us or perhaps need some help picking the right blooms? Let us know, and we’ll be glad to help. The flowers I received came on time and were stunning!! I used the baby's breath as tall centerpieces at my wedding. This particular type of baby's breath (i think it was called New Love) is just gorgeous. The buds were so big—gives a much fuller effect than the "million stars" kind. I was very pleased. They were also super easy to transport because of the simple packaging (also, thanks for providing that air hole, how smart! It put me at ease to be able to check on the freshness of the flowers to make sure they weren't drying out). Thank you again for helping make my vision come to life—it's always nerve racking when ordering stuff for weddings, hoping it arrives on time. What a relief. I will be referring you to all who come my way. 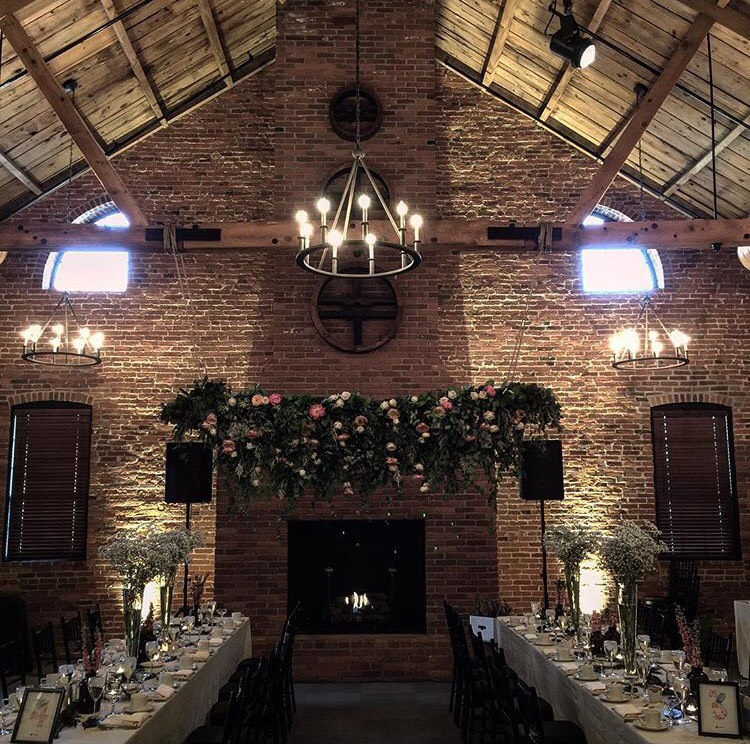 P.S: I attached a photo that a guest took—you can kind of see the baby's breath on the tables.